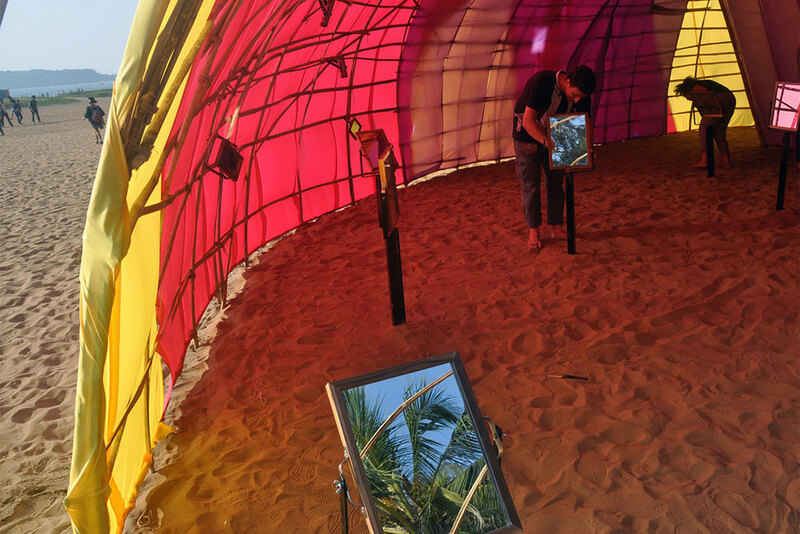 The entrance to the interactive Light in Reflection installation, created at Miramar beach in Goa. 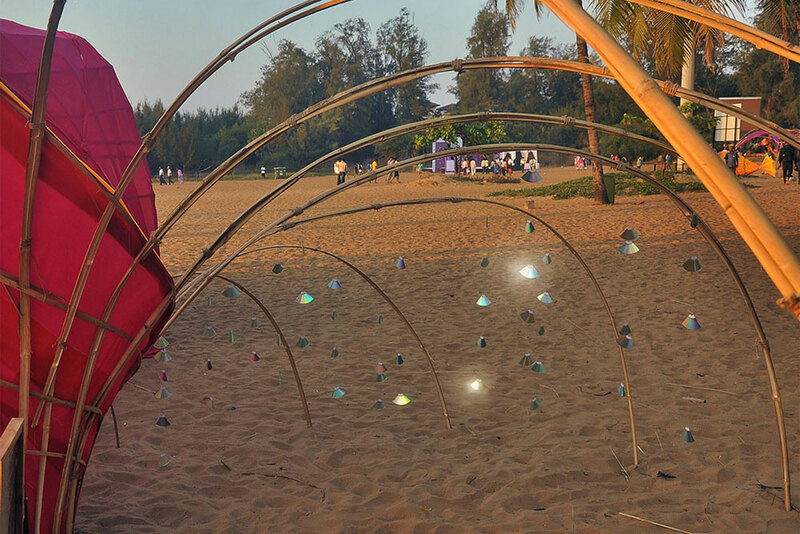 Many installations where created at Miramar beach during the story of light festival. 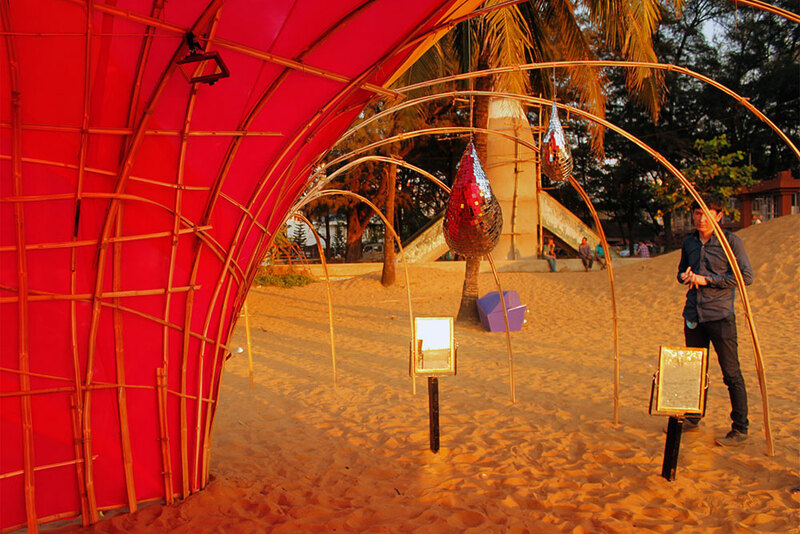 The installation has been made using bamboos and bright coloured fabric. 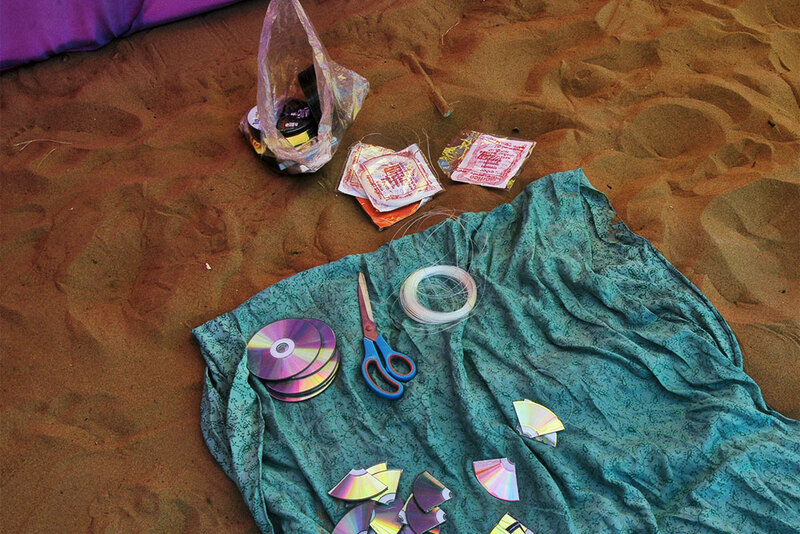 More elements, old DVDs and CDs were cut into pieces and used to reflect the light in the installation. 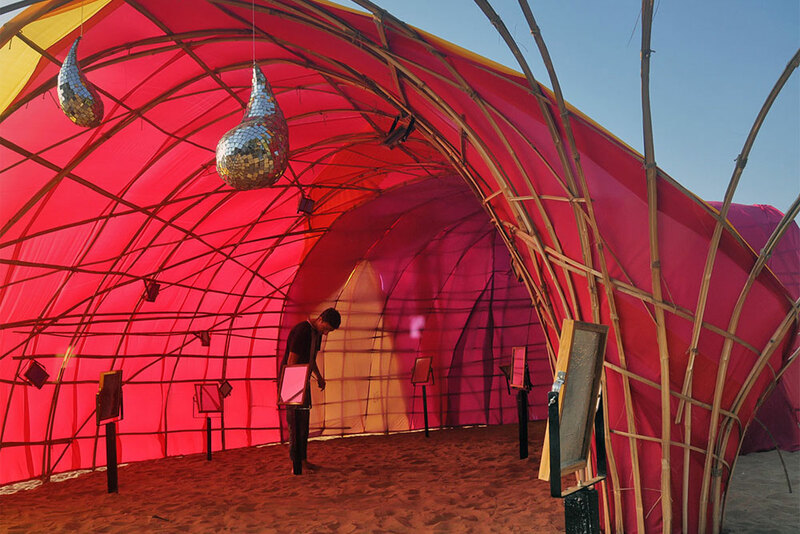 Cut pieces of CDs were installed by hanging it on the bamboo arches at the outer side of the installation with the use of fishing wire. 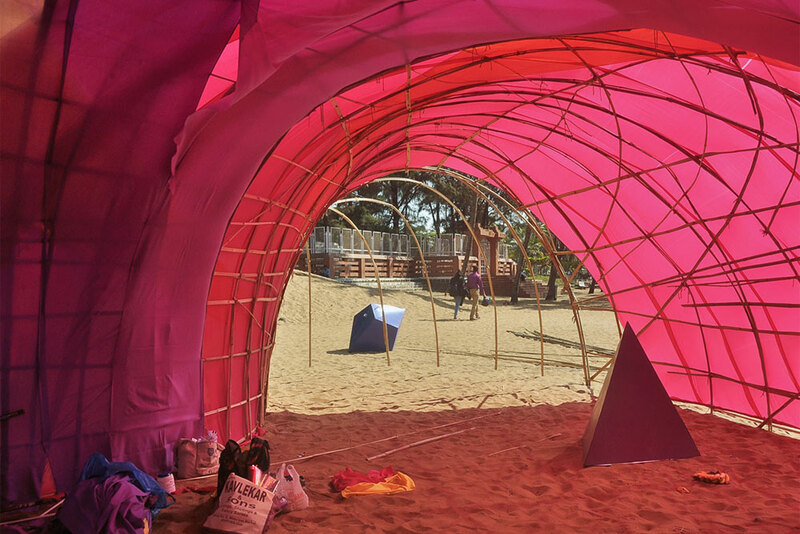 The installation structure is made in the shape of Golden Spiral by using bamboo sticks and bright coloured fabric. 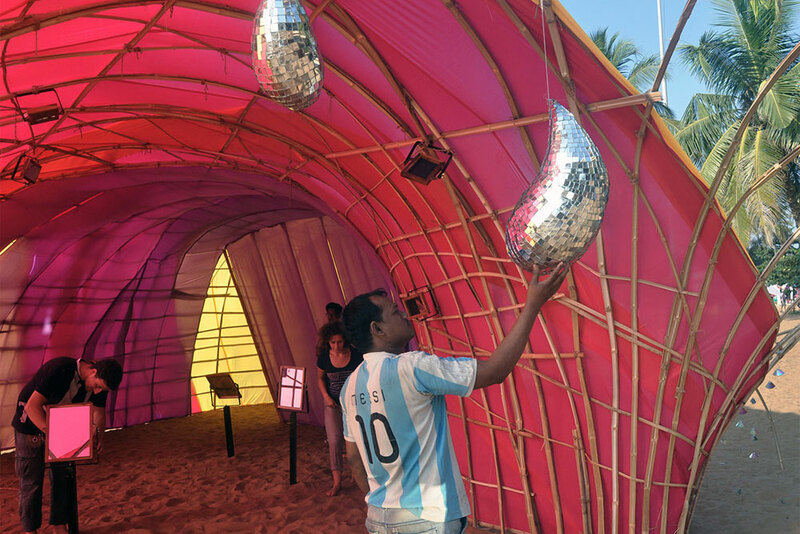 The rotating mirrors and the spotlights have been placed inside of this dome of installation which can be moved or rotated during the play of light. The rotating mirrors and the spotlights have been placed in the installation which can be moved or rotated during the play of light. This particular installation has been partially covered and partially left opened to see the play of light as per the covered and the open area. This was more interactive so people could play with it and have fun with the play of light. 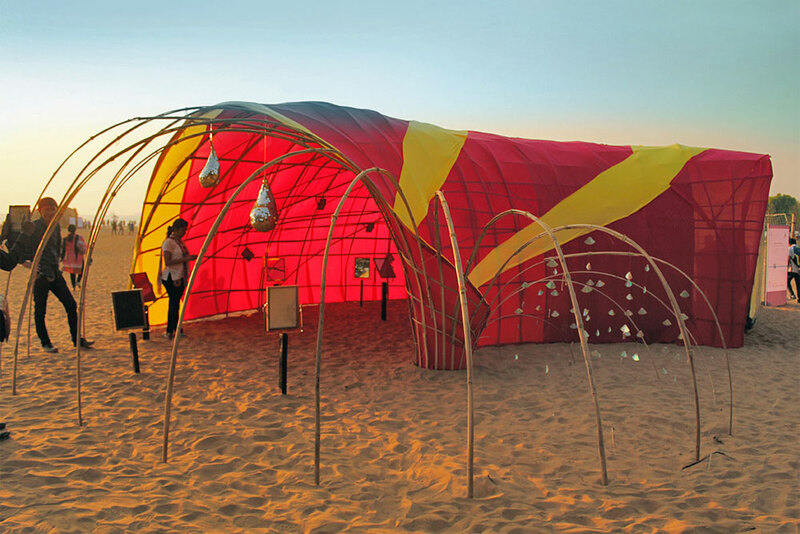 The installation has been made in the shape of Golden Spiral which also looks like a shell. The play of light was more effective in the dark so one could see the source of the light reflecting through the mirrors. People had the privilege to go inside the installation and change the direction of mirror and the rotation to enjoy the play of light. 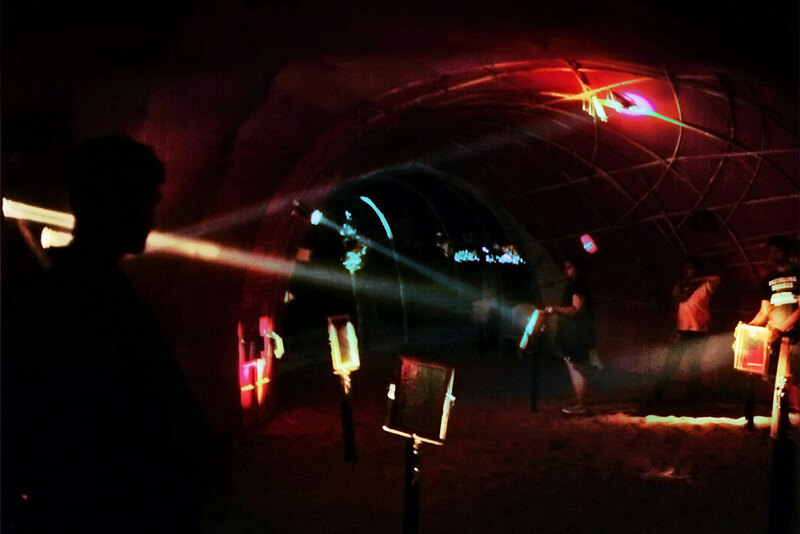 This was one of the successful installations in the Story of Light Festival as well as very captivating. Light is one the active and strong parts of nature. Light usually refers to available light, which is electromagnetic radiation that is visible to the human eye and is responsible for the sense of sight. 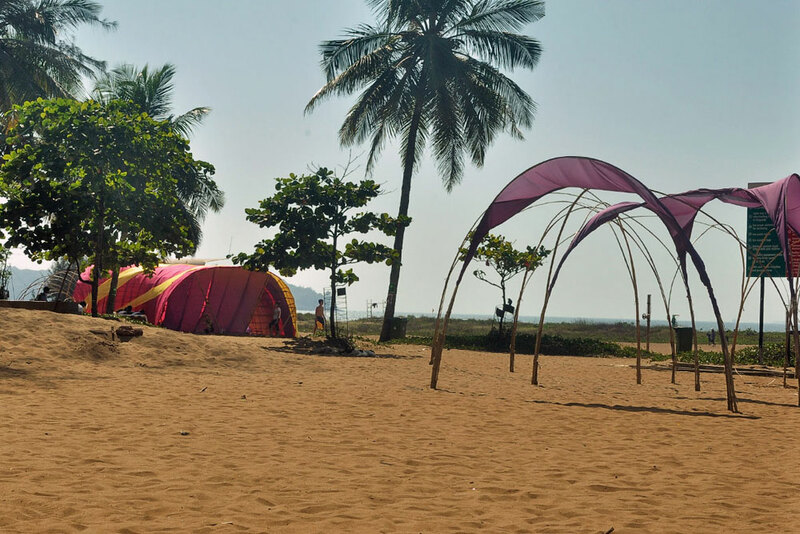 To understand and unravel all the mysteries of light few scientists and artists from all over the world were gathered at Panjim, Goa in January 2015. 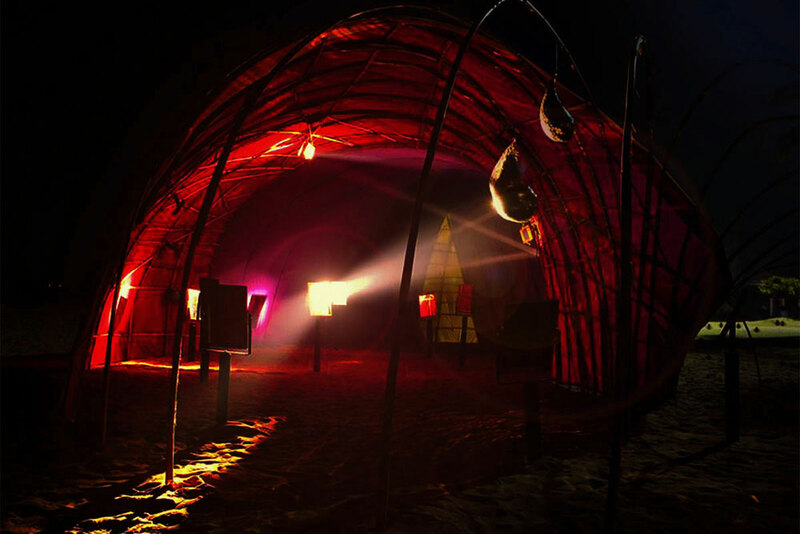 Through the interactive installations and performances they have tried to explore the various ways, sources, forms and the visuals of the existing light. 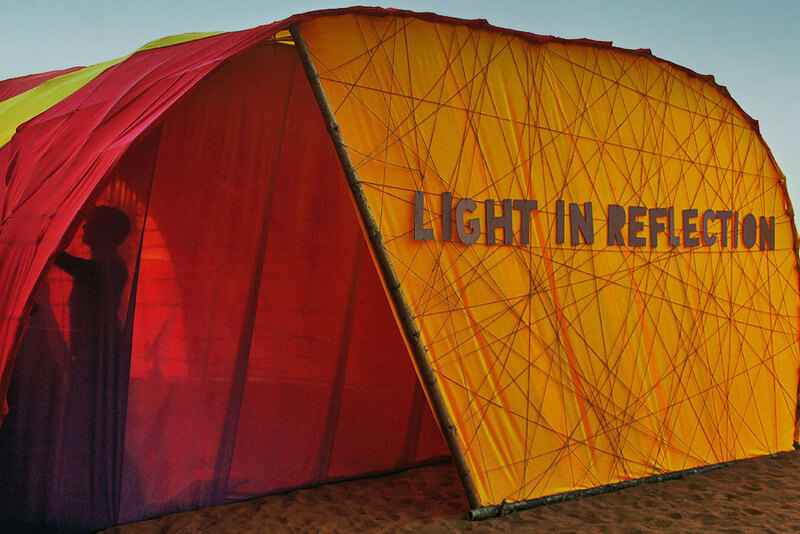 Light in reflection is one of the public installations created by artists Silvia Verdolini and Manuel Scortichini. Silvia Verdolini is a theoretical astronomer. Over the years, she has contributed and collaborated on a number of outreach events and children activities, trying to convey the beauty of physics through the vastness of our cosmos. Manuel Scortichini is an architect with a passion for interior design of recycled objects. The concept of this installation is inspired by one physics experiment during Silvia’s elementary school curriculum in which there were few mirrors kept in all the classrooms and corridors and a source of light was circulated all over the place through the particular arrangement of those mirrors. Light in Reflection is a game where light coming from few spotlights can be transported by multiple reflections off rotating mirrors. When light reaches the target, it reflects out of the installation in a rainbow of colours. The installation is in the shape of the golden spiral, which is found in nature in the most diverse situations, from the structure of a shell, to the patterns created by the seeds of a sunflower up to vast galaxies. With this installation, the artist would like to convey that there are always many paths to reach a goal or state of mind, but there should be a general sense of moving in the same direction and contributing to the same cause.